A self-acclaimed pastor, identified as Raphael Obi, has admitted sucking the breast of women to deliver them from what he called the evil spirit tormenting them. Nollywood actress Nora Nkiruka Ugo reportedly passed on over the weekend in Lagos, while fighting a yet to be disclosed ailment. from a 3-storey building in Florence, Italy because she refused to sleep with him. A video is going viral of a man being caught cheating on his girlfriend, and the length he goes to to try get away with it is RIDICULOUS. This is very unfortunate. A Naval personnel caused a huge scene along Oshodi expressway in Lagos after slapping a pregnant woman. off a bomb in his underwear on a plane on Christmas Day 2009 has sued the U.S. Justice Department for denying his fundamental rights. Chinasa has been exposed after reportedly attempting to sleep with her best friend’s husband. 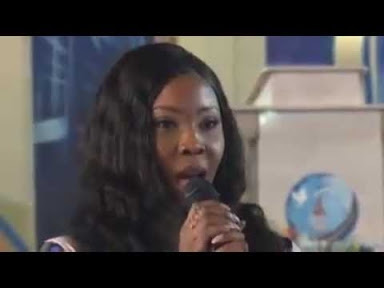 The wife of Ghanaian pastor who mistakenly sent her n*des to members of her church via WhatsApp, Osofo Maame, has reportedly attempted suicide out of embarrassment. Aaliyah Kennedy died over the weekend, while in labour and the baby didn’t survive. American singer, Rihanna, performed an African dance routine at the Grammy awards on Sunday. hour, but clients will also have the benefit of getting a private space where they can test it for half an hour before they pay. A Nigerian Lady on Facebook has taken to social media to complain about how “lazy” her husband has gotten all thanks to the recession in Nigeria. The remains of late Hon. 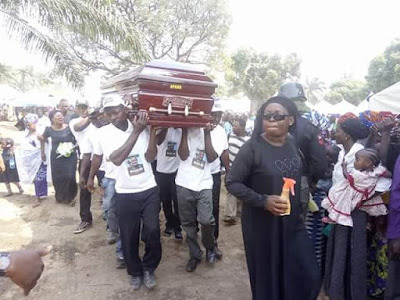 Hosea Ibi was laid to rest in his family compound in Anguwan Fadama in Takum Local Government Area of the state on Tuesday, January 23. Aged 47, late Barr. Ibi left behind two children, pregnant wife, aged mother and six sisters. Afikpo North -East constituency, Hon. Maria Ude Nwachi popularly called afikpo chick. their WhatsApp group has taken over Ghanaian news sites, and what's worse is that the explicit videos are circulating online. Progressives Congress, APC, and the opposition Peoples Democratic Party, PDP, have secretly signed signed Senate President, Bukola Saraki’s impeachment notice. or more films and it seems that may just be the end of her foray into the make-believe world as she’s totally disenchanted with the pros and cons of the industry. Nigerian cinematographer, Ademola Ariyo, who shot evergreen movies like Osuofia in London, Blood money, Igodo, Goje africa and more, has died after battling kidney disease. A Nigerian native doctor who is the owner of Chi Marine Temple has taken to social media to show off his beautiful girlfriend. The young man shared a post on his Facebook page with photos of himself hanging out with his girlfriend. joint operation that led to the killing of Oluchi Igwedibia alias Obata Osu, younger brother of Late Don Wanny. Lol! See full photo below..
''When last did ur mum deep her throat on ur dad D****k.
subway train in Paris, France. 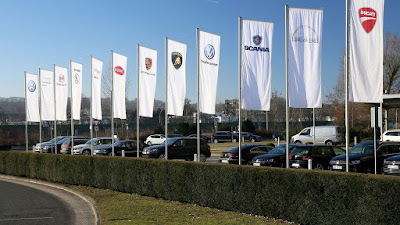 separations, bankruptcies and entire divisions killed off, making it difficult to keep up with who owns which car brands. Security and Civil Defence Corps, Ondo State Command, for allegedly defrauding a follower of N4m. . The State Commandant of NSCDC, Commandant Pedro Awili Ideba, said, Ayuba who claimed to be an Islamic cleric was accused of obtaining by false pretense, for duping unsuspecting clients who patronized him for prayers of various amounts ranging from N300,000 to N36,000,000. According to him, Ayuba was arrested following a complaint by one of his victims, Tajudeen Ekundayo who lost N4,300,000 to the syndicate. 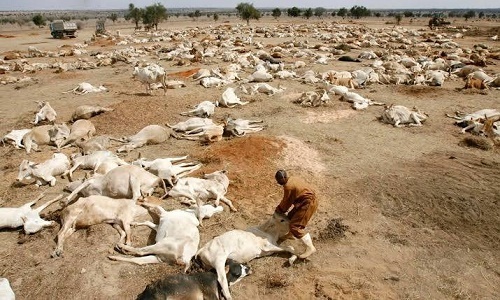 The commandant added that criminal activities ranging from kidnapping, ritual killings and fraud had been traced to Ayuba, adding that the traditional ruler of Arigidi Akoko, Oba Yisa Olanipekun, had written a letter to the state command on the alleged criminal activities of the suspect. A young man has been nabbed and disgraced after he escaped with his friend’s $50,000 . been victims of some monsters among us. There have been rare occasions of men being raped in our society too. A beautiful lady has been reported dead.. According to reports, the deceased simply identified as Keriece, who got married November 22, 2017, gave up the ghost two months after..
A Nigerian lady, has taken to social media to reveal how she was sexually harassed by her friend’s husband when she went to spend a few days with them. dollars and other foreign currencies in a bid to attract customers.